I saw a lot of exciting stuff this year! Later I might ruminate about why most of it was during the seven months of the year I spent in Europe rather than during the five I spent in New York, but first here are some highlights. I made lists of five this year, because ten seemed excessive when you have multiple categories. Except for the first opera list they are not in any particular order. Parsifal (Bayreuth): This took “the right opera in the right place” to a whole new level. The ritualistic experience of Parsifal in the theater for which it was written becomes a self-reflexive story of its own history from seclusion to militancy to a guarded redemption. For better or worse, we control this postmodern Gesamtkunstwerk now. Truly worth the pilgrimage. Der Rosenkavalier (Bayerische Staatsoper): Otto Schenk’s production owes less to Strauss than it does to Masterpiece Theater, but with the magnificent Anja Harteros and Sophie Koch in the leading roles it had life in it yet (mostly musical). Lucy Crowe was great too, Piotr Beczala was the Italian Tenor you always want, and conductor Constantin Trinks made a promising Bay Staats debut. Atys (Les Arts Florissants): This arrived at the Brooklyn Academy of Music preordained as the Event of the Year, but nearly lived up to expectations, largely through the force of William Christie’s wonderful orchestra and the elegant, self-consciously formal production. Next year a different French Baroque opera, please? Halls of Fame: I’m always grateful for the chance to see anything at the Bayerische Staatsoper and the Theater an der Wien, who make everything new. 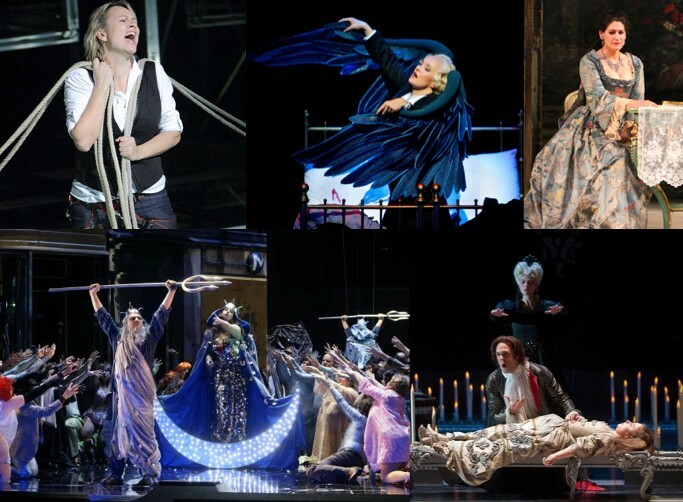 Halls of Shame: The Wiener Staatsoper for their wretched, slapdash revivals and both the Metropolitan Opera and the Wiener Staatsoper for their visionless, confused new productions. “Oper für alle” Award: The Komische Oper Berlin, for combining accessible and affordable tickets with an adventurous and ambitious program (and during the summer festival a really interesting program of lectures and, uh, free wine). All operas are performed in German, but now they have titles in multiple languages. Least Predictable: You never know what you’re going to get with conductor Daniele Gatti. I loved his Parsifal, was oddly persuaded by his Fidelio, and his Mahler 9 with the Wiener Philharmoniker was the single worst concert I heard all year. Most Predictable: You do know what you’re going to get with the Met’s new chief conductor, Fabio Luisi. His work is brisk, well-paced, perfectly balanced, and phrased with elegance. Grandeur and dramatic weight, though, can be scarce. Up and Coming: They’re at various stages of their careers, but I hope to hear lots more from conductors Cornelius Meister and Tomas Netophil, sopranos Gal James, Meagan Miller and Caitlin Lynch, mezzos Anita Rachvelishvili and Elisabeth Kulman, tenor Michael Fabiano, baritone Iain Paterson, and bass Dmitry Ivanshchenko. Let’s hope for an exciting 2012! Cornelius Meister led a great Abduction from the Seraglio in SF two years ago, so I'm with you on him! Meister's is a phenomenal talent. We're lucky to have him in Vienna until 2014. And he just gave up his position as GMD in Heidelberg, so more engagements outside of Germany and Austria may be on the cards.